Research in the biopolymers and biocomposites group is directed towards addressing the social and economic issues related to agriculture, food, health and environment and to develop green technologies and biobased solutions for various industrial applications. The group has a product-driven approach to research and has developed prototypes of various products. Examples include biodegradable and inexpensive packaging materials for food and non-food products, biodegradable printed circuit boards, low-cost fiber based sapling pots and trays, light-weight highly insulating false ceilings etc. All products are developed using agricultural residues such as rice straw, wheat straw, sugarcane bagasse, coir fibers, banana fibers and coproducts such as oil meals, chitosan and alginate. These efforts contribute towards a biobased economy where exploitation of natural resources is minimized and the concept of “Waste to Wealth” is practiced. Bioproducts developed need simple technology and are highly cost-effective which facilitates easy adoption by industries in rural areas. Agriculture is a natural resource and labor intensive process. It is not apparent that most of the agricultural crops generate residues or biomass that is considerably larger than the intended produce. For instance, the amount of leaf, stalks and husks left from corn and sugarcane are much higher than the corn or sugar generated. Although it is imperative that these residues are generated, it is unfortunate that most of the residues remain unused or used as fuel by burning. Consequently, we are not only creating pollution by burning or burying but are also disposing a valuable resource. Residues from agricultural crops are being converted to value added bioproducts in the laboratory. These products have been developed without using any chemicals and are 100% biodegradable. Applications of these products are in agriculture, electronics, automotive, construction and food industries. Prototypes of these products are available and technology to manufacture these products has been patented or applied for patenting. Oil seed crops are being aggressively promoted as environmentally friendly and sustainable source for biofuels, specifically biodiesel. Neem, castor, pongamia and jathropaare commonly used for biodiesel. Several other local oil seeds such as simarouba are also considered as a source for biodiesel production. Conversion of oil seeds into biodiesel generates anywhere from 25 to 50% of the seed as meal or cake which is mainly used as animal feed or fertilizer fetching less than Rs. 30 per kilogram. Oil cakes contain large amounts (20-50%) of proteins which have unique properties and suitable for developing various products. Converting oil cakes into bioproducts or utilizing the proteins in the meal for high value applications will add considerably high value to the meal and hence reduce the cost of biodiesel. 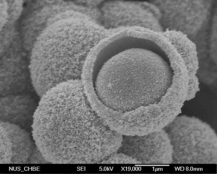 Oil cakes/proteins in the oil cakes have been converted into films, fibers, disposable cups, nano and micro particles and into 2D and 3D scaffolds for medical applications. Proteins from some of the oil seeds have been identified to have anticancer and antimicrobial properties and specifically suited for medical applications including treating cancer. Indiscriminate use and disposable of synthetic polymer based materials is a major cause of pollutionin India and other countries. Ubiquitous use of plastic based packaging for food and non-food applications is the most prominent contributor to municipal solid waste and related pollution. Current alternatives to plastic based packaging including biodegradable plastics are either expensive or need specific conditions for degradation. 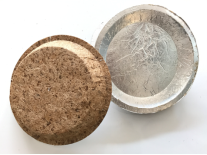 We attempt to develop 100% biodegradable packaging materials using agricultural residues without using any chemicals or synthetic polymers. Residues such as straw and bagasse in combination with the oil meals are being used to develop the packaging materials. Unlike the common approach of pulping or chemical treatments, we use the residues in their native form ensuring that the unique properties of the residues are retained and cost or production is minimized. Prototypes of rectangular and circular containers, transparent and flexible films, cups and bags for food and non-food packaging are available. Access to heavy metal and chemical-free water is a constraint in most rural areas. Similarly, water pollution due to discharge from industries and other human activities is quiet extensive. Processes such as textile finishing and coloration and paper production generate considerable amounts of toxic or non-degradable chemicals. Sustainable technologies and products are necessary to reduce or remove the contaminants in water. Agricultural residues and coproducts offer an ideal opportunity to develop biobased sorbents for metals, dyes and other pollutants. We develop green chemicals, fibers, biobased carbons and other sorbents for waste water treatment. 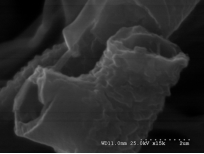 Protein based sizing agents for textile finishing, dyes and pigments from natural sources and unique adhesives and gums from plants have been identified and developed for environmental applications. Low-cost and affordable medical devices and products are necessary to meet the increasing medical costs and treat challenging and emerging diseases. Biopolymers are desired for medical applications since they have better biocompatibility with the body and do not release toxic substances upon degradation. 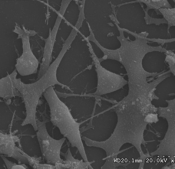 Starch, cellulose, chitosan, collagen and silk are some of the biopolymers used for in vitro and in vivo medical applications. However, processing these biopolymers or achieving products with desired properties is a challenge or has considerable constraints. Proteins are preferred over synthetic polymers or carbohydrates since proteins have better biocompatibility with the body. Collagen and silk used for a few medical applications cannot be made into most forms of biomaterials and/or have toxicity issues. 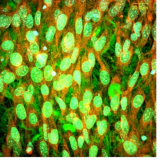 We have identified plant proteins and proteins from various oil meals that can be processed into films, fibers, nano and micro particles and 2D and 3D scaffolds for tissue engineering, controlled drug release and other applications. 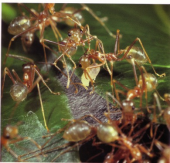 Plant/oil cake derived proteins have shown suitability for in vitro and in vivo applications. Learning from nature is inspiring and fascinating from the materials perspective. It is difficult to comprehend how a turtle shell composed of biopolymers resists all the stress and strains and be durable and strong for more than 100 years under water. . A natural cellulose fiber being hollow unlike any other is remarkable.Ability of tiny weaver ants to produce natural protein hollow fiber membranes is almost unreplicable in the laboratory Protein threads produced by mussels have unique and extraordinary properties by being flexible at one end and rigid and strong at the other end. Nanoscale arrangements on the leaves of plants and feathers of birds and insects provide myriad colors and shades. Understanding these natural structures and biomicking such phenomenon leads to unprecedented materials and products. We are attempting to develop unique materials and technologies taking a cue from nature. 25 ton hydraulic press with heating and cooling platens for compression molding, 2kN universal tensile tester with options for tensile, flexural and compression tests, Electrospinning set-up with two heads, Refrigerated centrifuge(Thermo), Fumehood. 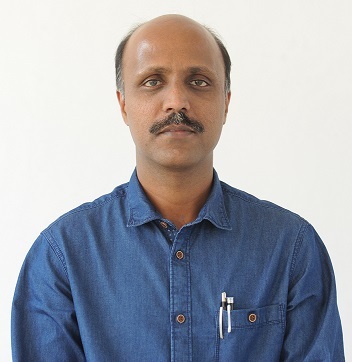 Narendra Reddy graduated from the University of Nebraska-Lincoln, USA with a Ph.D in 2006 and worked as Research Professor at the University of Nebraska before returning to India. On returning to India he was awarded the prestigious Ramalingaswamy Fellowship from Govt. of India and is currently working as a Professor at the centre. In his early career he also worked as a Scientist at Coimbatore with the South India Textile Research Association. His areas of research include developing sustainable and green materials & products from agricultural residues, value addition to biofuel coproducts, promoting green technologies and substituting petroleum based products with bio products. Specific examples include developing bio fibers from lignocellulosic residues and protein meals, composites from chicken feathers and straws, completely biodegradable printed circuit boards, new textile sizing agents using biodegradable proteins and identifying unique properties of biomimetic materials such as ant silks.He has published over one hundred research papers in high impact journals in the areas of biotechnology, materials science, polymer science, agriculture and food technology, with highest impact factor being 13.8. Dr. Reddy has also completed multimillion dollar projects in USA and has currently about Rs. 80.00 lakhs worth project ongoing. He has also presented his research at more than 50 conferences, written a book titled “Innovative Bio fibers from Renewable Resources” published by Springer and authored 6 book chapters. In addition to the academic publications, his research has been well publicized by major news agencies including CNN, discovery news and BBC. His patented technology on extracting natural fibers from agricultural residues has been licensed for commercial production. He has extensive collaborations within and outside India. Dr. Reddy has more than 4,000 citations of his research work. His H-index is about 35 and i-10 index is 103, one of the highest amongst his peers. Some of his projects have been funded by the Ministry of Food Processing Industries (MOFPI), DRDO and DBT and he also consults for various companies. Vijaykumar Guna is a mechanical engineer by training and obtained his bachelor’s degree from Bangalore University in 2012. 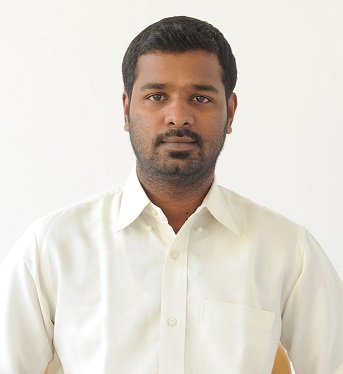 Subsequently, he graduated with his M. Tech in Energy Engineering from Jain University, Bengaluru. Currently, he is a PhD scholar working on biocomposites using renewable resources. His major focus is to replace synthetic polymer based materials with bio-based composites. He has published research papers in reputed journals. 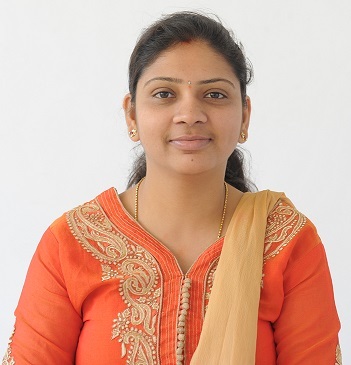 Divya N. completed her M. Sc degree in analytical chemistry from St. Joseph’s college, Bangalore in 2013. She started her research career in a UGC sponsored project. She also has experience as a chemistry lecturer in Jyoti Nivas College, Bengaluru. Further, she worked as a chemistry and biology tutor in one of the renowned defense training academies- Cavalier India. Currently, she is pursuing her Ph.D in the area of green crosslinking of biopolymers. Her other research interests include value addition to biofuel crops and replacing plastic based packaging materials. She has publications and several manuscripts have been submitted for publication. Seema Sakkara, completed her BE and M. Tech in Chemical Engineering from Visvesvaraya Technological University, Karnataka, India. She worked in a BE project titled “Biosorption of Chromium using Aspergillus niger” which was sponsored by KSCST Government of Karnataka. 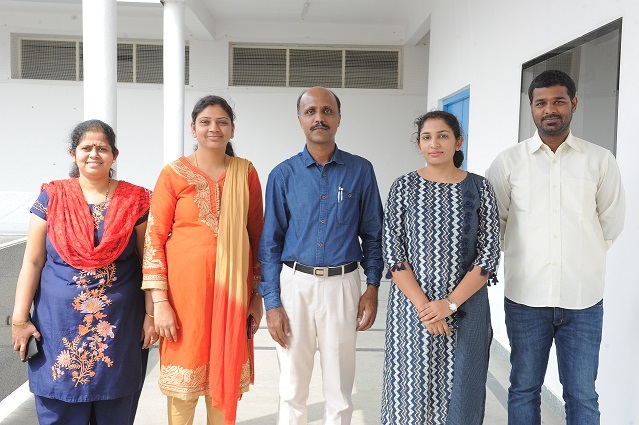 During her M. Tech, she gained research experience at CPRI, Bangalore by working on the development of polymer nano composites using magnesium oxide nano fillers to improve thermal conductivity. 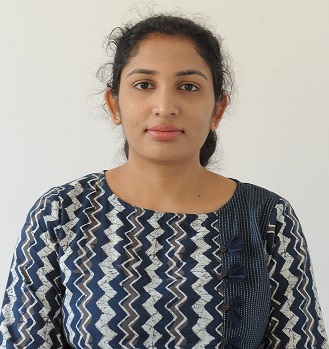 She has also worked on development of polymeric composite membranes and cross linking them using electron beam irradiation for pervaporation studies. 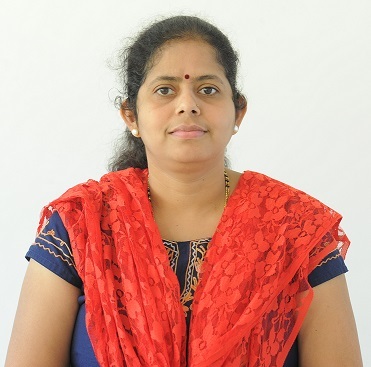 Presently, her area of research is on developing completely biodegradable materials for industrial applications using natural polymers such as chitosan and starch and currently she is pursuing her Ph.D in VTU. Shobha R. Bhat completed her B.Sc from Dharwad University. She has worked in Impact Engineering Solutions Pvt ltd. Currently, she is working as a Research Fellow with interests in protein extraction from oil seeds, protein batteries and chemical modification of polymeric materials.